We are unlocking the Li-ion batteries' potential that no one else are yet to deliver. As speak, we have just successfully applied our proprietary process to the standard Li-ion manufacturing tool set covering the most popular pairings, e.g. NCM, LFP and LCO as the cathodes and graphite as the anodes, all showing solid promises. while keeping remaining attributes competitive, with the key among all being the energy density (+/~ 10%) at the cell level, to contribute an extremely low thermal uniformity during fast charging/discharging - to re-balance the gross energy at the system level. NiveauUp technology's competitive advantages can therefore be summed up as “10X faster charging/3X longer life/without costing customers more”. 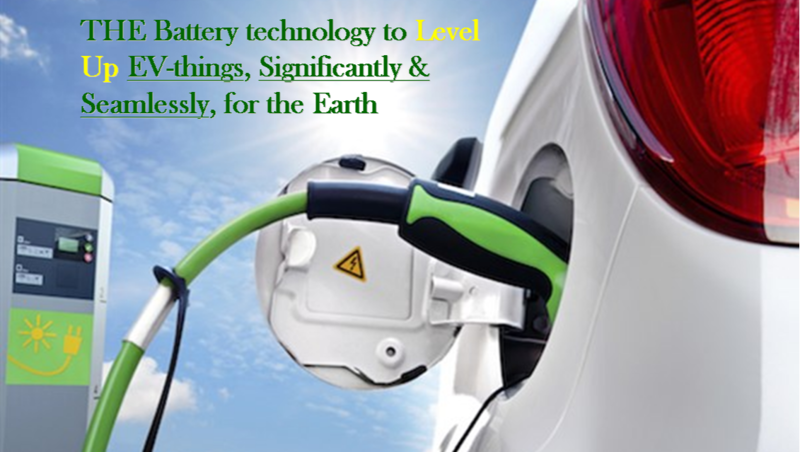 By taking into accounts of what NiveauUp's technology achieve as of today - an even faster EV charging rate than today's top charging stations may supply, long life time to allow more frequent uses of public fast charging and lower thermal budget/higher specific pack energy, the wait for many self-proclaimed, leading battery technology of the future may just no longer be needed, because NiveauUp is delivering the performance which US DOE set as the 2028 target at an actual cost 1/2 of what their initial study presumes as a starting price point for eXtreme Fast Charging (short for XFC) batteries. Please feel free to email us your inquiries. let's hope this will be just ​​​TEMPORARY.